On the heels of the National Newspaper Association shutting down its national ad sales company comes this — it seems no one trusts newspapers anymore. 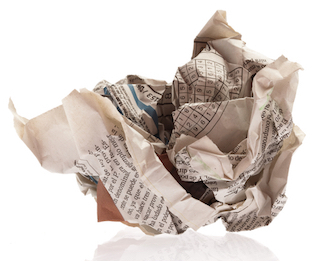 According to a Gallup poll, only 20 percent of Americans have confidence in newspapers as an institution. That’s the lowest percentage ever, dating way back to 1973. The drop can be partly blamed on Democrats, who for the first time in the study’s history just aren’t feeling newspapers’ vibe. Roughly 27 percent of self-described Democrats said they have little or no confidence in papers, compared to 25 percent who said they have a lot of confidence in papers. Republicans, meanwhile, maintain the party line that all media is evil and wrong. Aside from Fox News.